A turntable is required for playing vinyl records in a Hi-Fi system. Turntables are mechanical products. Performance of a turntable is heavily influenced by the quality of engineering involved in its production and set up of the “deck” itself. We have products ranging from basic “plug and play” turntables which simply work “out of the box” right up to suspension based turntables which are in component form that then require “building” with much more involved set up. An amplifier and loudspeakers are required to listen to the turntable. Playback of digital music comes in many forms these days. 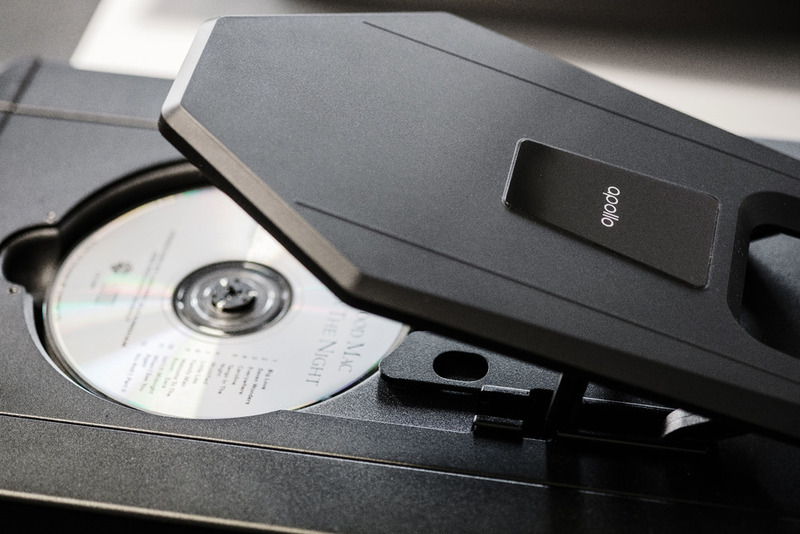 It can be from a disc like a Compact Disc (CD) or from a stored music file (Streaming). These are both high quality forms of enjoying digital music. The Compact Disc is the most successful music format ever! Most people are very familiar and comfortable with using CD’s to listen to music. Pop the disc in your player, press play and enjoy! An amplifier and loudspeakers are required to listen to the CD player. “Streaming” can mean many things to people. It really involves digital data which is “rendered” or played back in a different location to where it is stored. For example stored music files on an iPod which are listened to on the same iPod are not streamed. This is because they are both stored and played back on the same device. Music files played back on a streaming player or network music player via Tidal or Spotify are streamed. The files are being stored elsewhere but played back on the device or “streamed” to the device for listening. A streamer allowing playback of digital music files can have greater versatility than a device which can only accept one strict format. All streaming players can have access to your own stored digital music library, an online music library like Spotify or Tidal as well as internet radio from all over the world. Interest in streaming music has grown as people can have access to better quality performance from their digital music (higher resolutions) along with greater ease of use (access your entire music library at the touch of a button). An amplifier and loudspeakers are required to listen to a streamer. Amplification can be split into three main categories. An amp is either a Pre Amp, Power Amp or Integrated Amp. A Pre Amp is the sensitive control section delivering connectivity for the variety of sources present in a Hi-Fi system, source selection and system volume control. A Power Amp is the muscle in a system. This drives the loudspeakers. An Integrated Amp is a combination of the two parts in one unit for convenience. A source and loudspeakers are required to listen to an amplifier. A loudspeaker in a Hi-Fi system pushes and pulls air. This then creates the sound we hear from the system. A big loudspeaker can push and pull more air than a small loudspeaker and so is generally better suited to “filling” a larger area with sound. Amplification is always required to provide power to a loudspeaker. A source and amplification are required to listen to a loudspeaker. There are many other peripheral parts of a Hi-Fi system. These can be cables (used to connect the various parts together, transferring signal from one component to another), headphones or furniture (a fit for purpose rack or cabinet to solidly house the equipment and allow suitable vibration control and ventilation). Both of these parts need to be appropriate to the equipment in use. For example a suspension based turntable which is susceptible to vibration may need a wall shelf to perform at its best rather than a floor mounted Hi-Fi rack. Does it fulfil your requirements? Can it do everything you need it to? If you are interested in streaming music can it do this? If you want to play your vinyl record collection is it possible to connect a turntable into the system? If you have a small space to listen to music in is the system compact or does it compliment its surroundings? Do you like the sound of the system? Quite an easy one really! Once you’ve found a system which can do everything you need you need to ask yourself do you enjoy listening to it? Afterall, you are the one who’s going to be listening hopefully for many years to come. We are here to help you navigate the options available and tailor the system to exactly your requirements.